Stewart R: Let us take a brief step back to 26 April 2012 - the day after the dust settled and the adrenaline had passed. That was the day we, with clear minds, knew - actually KNEW - that it was not only possible to bring an Avengers movie to the big screen, but it was, just one day earlier, brought to the screen in an engaging, neck-hair-raising manner which utilised an expansive cast, linked multiple plots spanning several properties together in one cohesive, fun-filled package and realistically set the new, elevated bar of blockbuster quality for the decade ahead. Our own Matt C gave the film a 10/10 score at the time and I would have matched that score then, and having seen the same film in the cinema again this very week I'm not sure my score would have changed at all. As far as opening gambits goes, Age Of Ultron hits the mark like a Hawkeye arrow. We join our Avengers as they track down secret Hydra bases - following the fall of S.H.I.E.L.D. and certain revelations in Captain America: The Winter Soldier - whilst on the hunt for Loki's sceptre which has gone missing since the attack on New York in the first film. It's a truly thrilling piece, filled with neat touches which remind us just what these heroes can do. It harks back to beats of that grand action finale set in Midtown, whilst showing that these people have been honing their teamwork and bonding as friends over months of missions and globe-trotting. The banter flows freely and the tag-teaming is a joy to behold. As the operation winds down, new faces are introduced and events take a twist or two which put Stark, Rogers and Co. on a path to Ultron's birth and from there towards an extinction-level threat. Spader, with help from Whedon’s scripting, manages to take something of a one-note recurring villain from the comics and turn him into an instantly potent threat, full of baffling charisma. There’s a terrific patronizing tone to his delivery throughout, arising from his initial purpose of global protector and then shifts swiftly as his pursuit of change breeds contempt for his creators. This defiance is no better illustrated than in the way the ever growing Ultron hauntingly serenades his quarry with lyrics from Disney classic Pinocchio, succinctly poking at his fathers for their narrow field of view in his formation and how he has become something they dared not foresee. It seems a strange thing to say, but ultimately the titular character doesn’t really get enough screen time to explore his development, motive and endgame properly. The aforementioned A.I. antagonist’s origin is quick, to the point and, going against canon, folds out of the higher level plot for the greater Marvel Cinematic Universe. It’s a writing move not only necessitated by the scheduling of the movies - Hank Pym, the creator of Ultron in the comics, won’t turn up until this July’s Ant-Man - but also by Whedon’s drive to show that the greatest and gravest threat to the Avengers and what they stand for is not some gaping portal in the sky, or maniacal, out of control programme, but rather the personal fears, weaknesses, differences of opinion and ‘vision’ that threaten to drive the team apart at any given moment. One of the most electrifying and satisfying moments of the first film was to see them all bickering in the Hellicarrier laboratory, the pleasantries shrugged off, the frustration and accusations running rampant, the time-bomb exposed and ticking. Here, the cracks creep deeper and slower across the façade, the opening act showing how strong the team can be when focused on a singular, agreed mission, the second act calmly chipping away at them one by one as their concerns manifest and they begin questioning their individual purposes and each other’s intentions. By now we’re all acquainted with these characters, painted in fairly broad strokes: Stark’s bluster and superiority a cover for his inadequacy in a rapidly growing universe he’s struggling to comprehend, Cap’s by-the-book, no-man-left-behind stance a cover for his loneliness in a time he doesn’t belong in. We’ve seen these themes played out in their standalone movies and Whedon simply picks these strands up and drops them into the unfolding story where he requires it, rarely lingering too long where he and others have previously trodden. 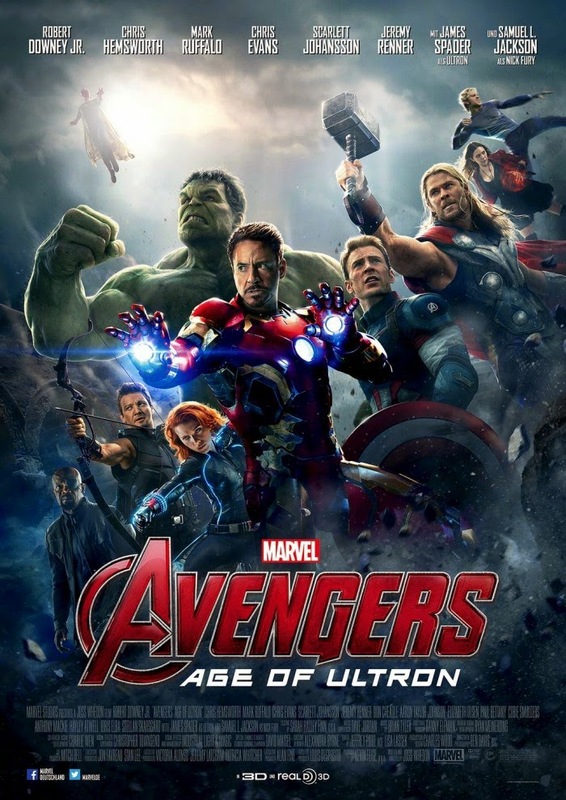 Progressive character development therefore falls into the hands of Johansson, Renner and Ruffalo who all get a little more time to flesh out their roles in plot beats that may divide the audience (especially the regular comic-reading crowd) but which, in this reviewer’s opinion, work wonders to keep this super-powered rollercoaster grounded. There are slower, softer moments which stand out amongst the fanfare and fireworks, and sitting here now, they play as brightly in my mind as the most energetic of the action scenes. It’s not a difficult thing to believe that a group of super-powered heroes might fight to save all of mankind, but so extraordinary are each of these characters, and so removed from any sort of normal life are they, that Whedon’s decision-making to get close and intimate with his Avengers - and one or two quite specifically - helps close the gap between the heroes and the people they’re attempting to protect. It’s a very important step. Collateral damage is a hard thing to play with and translate in a comic book movie; get it right and you have an Iron Man or Avengers, get it wrong and you have a Man Of Steel. Age Of Ultron plays big by including thousands of innocent bystanders put in harms way during its set pieces, elevating this to a threat worthy of the Avengers assembling, yet puts their rescue efforts and self-sacrifice front and centre when needed. I’ve gotten this far and barely mentioned the new additions to the cast in Olsen’s Scarlet Witch and Taylor-Johnson’s Quicksilver. There’s probably good reason for that as, while it’s good to have the cast bolstered further and worthy opponents introduced, they don’t have a great deal to do over the course of the 141 minute runtime except initially set the Ultron cart on its way and then play interference at various points from there. The effects teams do well depicting their specific power sets - Pietro’s super-speed being of particular note - and both actors do well enough coating their lines in a nondescript, East European accent, but they’re often little more than instigators to the bigger fights in the movie which is something of a necessary shame. But boy, do those fights get big in Age Of Ultron! There’ll be no spoilers from me of course, but the set pieces here need to be seen on the big screen, pure and simple. The SFX and stunt teams have constructed some marvellously complicated fight and chase sequences that easily top anything the first film offered up, and that’s saying something. There are some truly epic moments that get the adrenaline pumping and bombard the eyes with glorious comic book carnage. Dotted within them all are the occasional slow-mo tableaus and comedy pauses - mostly involving a helmeted Tony Stark - that we’re used to within these films and they help to once again set that familiar tone of the Marvel Cinematic Universe which we know and love. To be honest, it’s being so beholden to the overriding plot of that expanding universe and the studio’s further plans that sees A:AOU just fall short of its predecessors perfect score. So great it seems is the need to push towards 2018’s Avengers: Infinity War - Part 1 that Spader’s Ultron can’t help but play second fiddle to a threat yet to be truly defined and that lies three years away. His creation is in direct response to that very threat and the cast are either spending so much time wallowing in their pasts or attempting to clarify flashes of the future that Whedon has to leave many of Ultron’s actions across the planet to our imaginations and the potential of his abilities under-developed. It’s just one element too many to juggle within the comfortable confines of this sequel and rather than spill the lot or run for a further 30 minutes to fit everything in, the only sensible choice it seems is to play fast and loose with that one disposable element while we try to focus on everything else. When arguably the most watchable thing about an Avengers movie is the pulse of their own internal rise, fall and rise again as a team, the villain being an apparent second thought is an acceptable forfeit.